This is an oval flange Goodrich Rubber Footwear porcelain sign. This particular Goodrich Rubber Footwear sign is blue with white text. 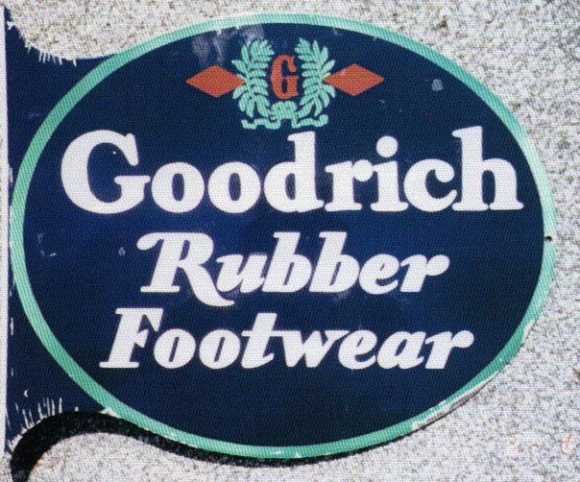 It reads, “Goodrich Rubber Footwear” and features a “G” surrounded by light blue laurels at the top.